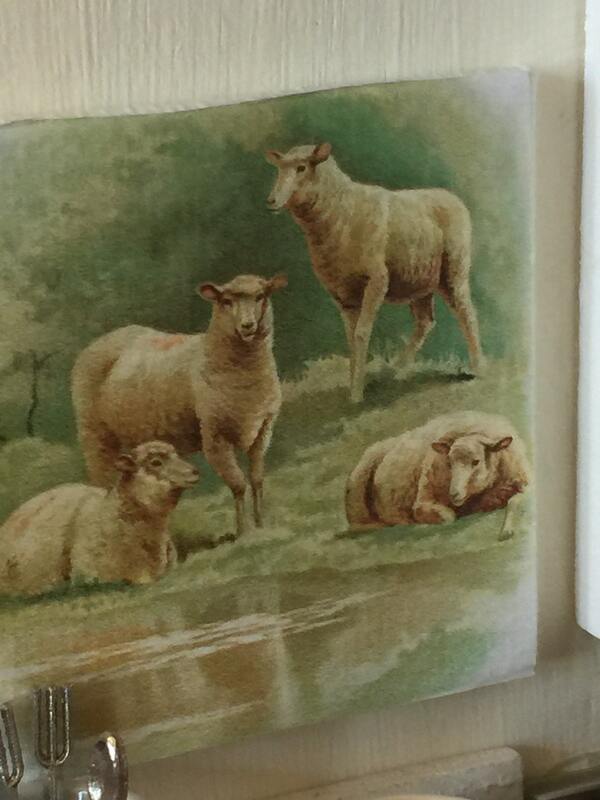 This is a wonderful farm scene of sheep in a green pasture. 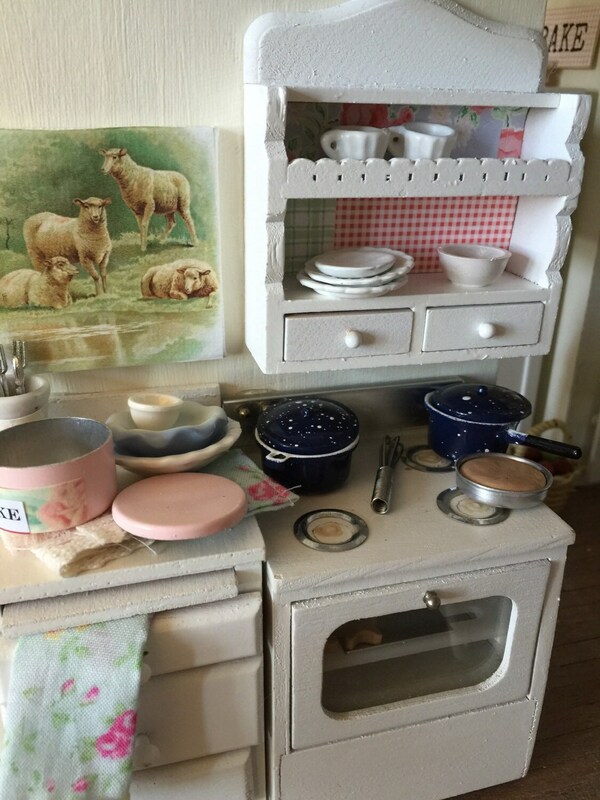 Perfect for your country vignette, diorama or dollhouse. Serene and peaceful. This artwork is embellished on a small square canvas. A bit under 2" squared. Hung with sticky dots-scrapbook section of store. 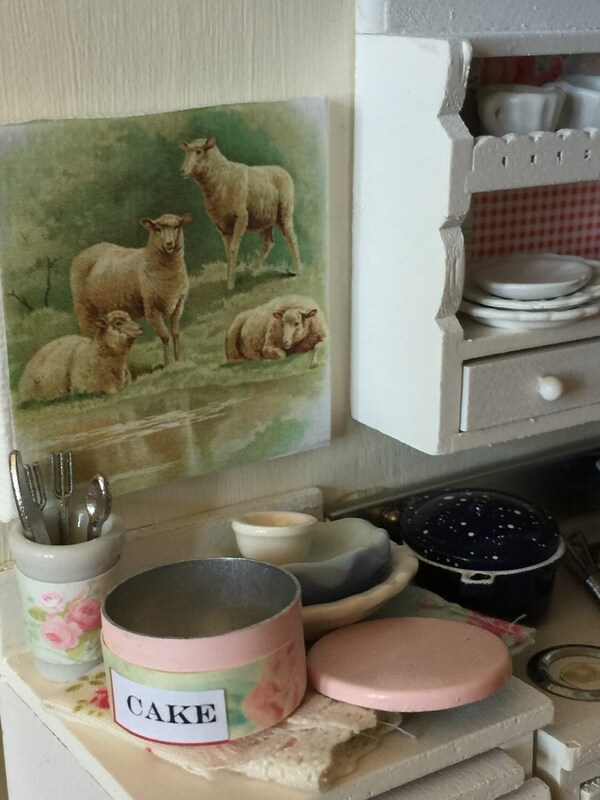 The little "Sheep Farm Scene" is a wonderful edition to my miniature kitchen!